Sometimes things just fall into place exactly like you envision them. We were headed home from piano when I couldn’t help but notice the beautiful sky. The lower the sun got the more spectacular the sky got so what’s any photographer mom to do? Dress up any willing party and take them out for a photo shoot of course. We rushed home and I was quick to throw Lia into one of the dresses from my collection. Tossed in a floral headband and a pretty stool for her to sit on and off we went. There is a beautiful field about 10 min down the road from our house. We were there with plenty of light to spare. Lia is old hat at this posing thing. 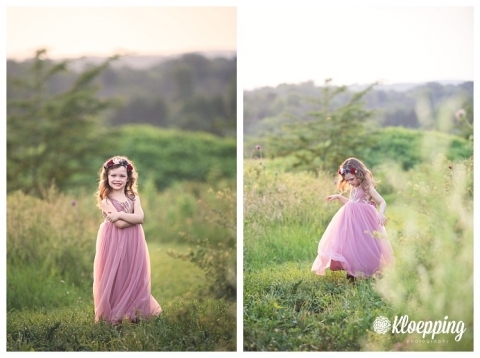 Being the child of a child photographer has its benefits (and drawbacks). I have hundreds of beautiful images of her and she’s got a knack for posing and smiling (but she gets dragged to all sorts of crazy places as my test subject – she only protests a little haha). 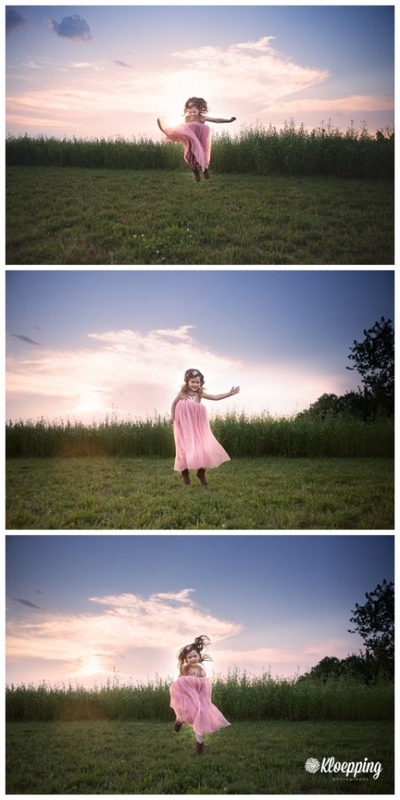 The most important part of these shoots (and every photography session I do) is to have fun. She’s never go out with me if it was stuffy pose here, do this type stuff. I use prompts like – spin for me, be a kangaroo and JUMP, or try to trace the alphabet with your toes (to get her looking down for example). She knows now if I ask her to look one way or another but often with kids I’ll have dinosaurs or lions running loose in our session getting them to look one way or another. We usually end up in a fit of giggles by the time our session is over and I wouldn’t have it any other way. Now, I’m always on the hunt for beautiful dresses. I’ve amassed quite a collection for client usage and it keeps growing. I can’t help myself. As soon as I see a pretty dress with twirl potential, I have to have it. This dress was amazing! A Zulilly find that I loved so much, I ordered a second one a little larger than the first so I have a sisters set. 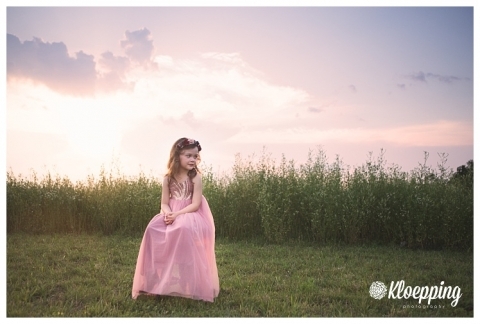 If you’re interested in booking a princess session using my client wardrobe (or your own!) click here for my request form! !